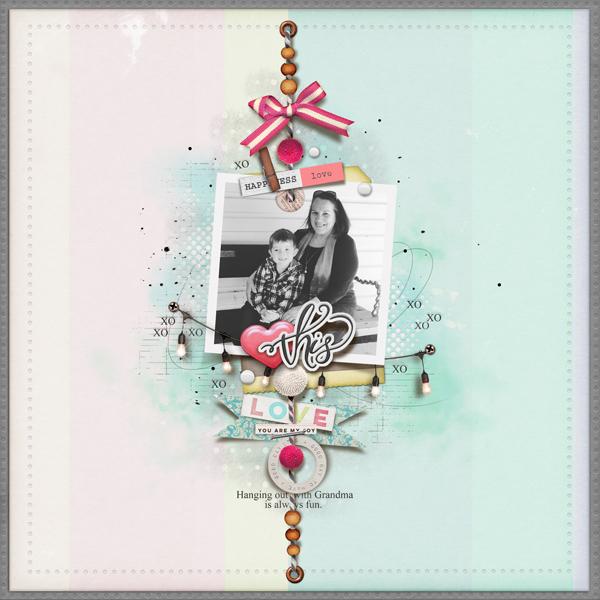 Em Stafrace| Just a Girl with Ideas: CHERISHING THE LITTLE THINGS! Let’s be honest life can get pretty hectic and with that quickening effect we can easily lose sight of the important things in life. Often they are the little things like a really big bear hug with someone special or one you have'nt seen in a while. It could be a passing scene whilst travelling down the highway or a smell that takes you back to a past memory. It’s these little moments I love to document. These small but precious moments because at the end of the day they are the things that define us, they are what binds us to a moment and they are often too precious to just let slip by without some grand gesture to immortalise them. 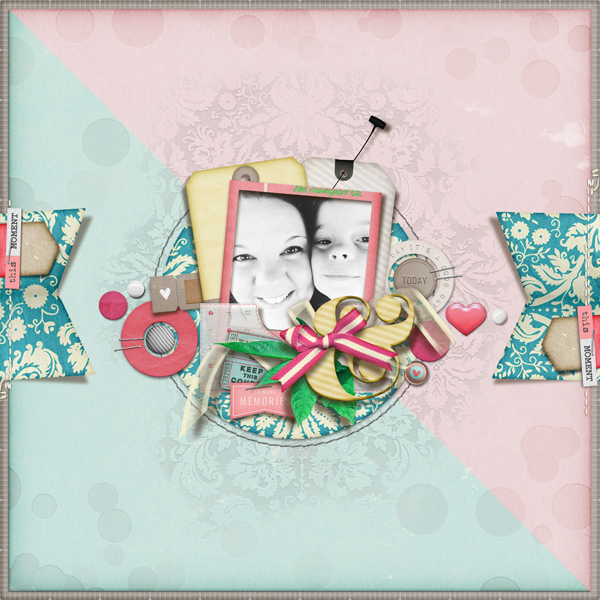 This week Simple Pleasure Designs by Jennifer Fehr has released a gorgeous bundle called THE LITTLE THINGS and well its exactly what you need in your digi stash to help capture and celebrate those simple yet precious moments in your lifes daily happenings. 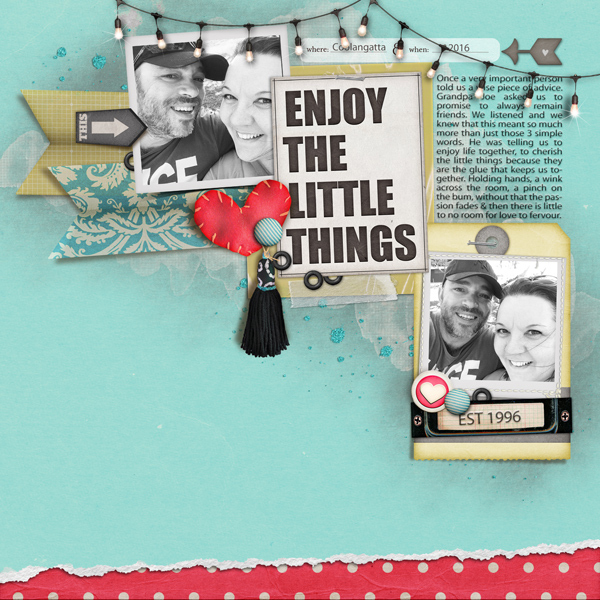 Its filled with pockets to stash your memorabilia or mementoes in and lots of great fasteners and other little pretties to make your pages shine! I was seriously inspired by this collection so here are a few pages I just gotta share with you!